1. Where is purportedly the largest collection of Nelson memorabilia in the western hemisphere? The Horatio Nelson Museum, Nevis. Nelson had a number of associations with the Caribbean, especially in his early naval career, and married a young Nevis widow, Frances Nisbet, there in 1787. 2. How many siblings did Nelson have? Nelson’s parents had eleven children, of whom three girls and five boys survived. Nelson was the third boy. 3. In what year was Nelson’s Column erected in Trafalgar Square? 1843. Almost forty years after Nelson’s death! 4. Which French admiral attended Nelson’s funeral?
. In England he was placed in open confinement in Bishop’s Waltham in Hampshire, but was given leave to attend Nelson’s funeral. Later that year he was returned to France following a formal exchange of prisoners, but only a few days after his arrival he was found dead in his hotel room in Rennes, stabbed through the heart. The official story was that he committed suicide, but rumour has it that he was murdered on Napoleon’s orders. 5. What was the origin of Nelson’s term ‘Band of Brothers’?
. Nelson used this phrase to describe the close relationship that existed between himself and his captains at the Battle of the Nile. By extension it has come to encompass all those officers who were particularly close to Nelson. 6. At which recorded public event was the toast ‘The Immortal Memory’ first used? 7. What wound did Nelson receive on 12 July, 1794? While directing his ship’s guns set up in a shore battery during the siege of Calvi a French shot struck the battery rampart in front of him and he was struck in the face with a shower of gravel. Nelson subsequently lost the sight in his right eye; the eye itself remained intact and he never wore an eyepatch. 8. What was unusual about Nelson’s coat of arms? Nelson’s family already had a coat of arms but Nelson’s knighthood entitled him to supporters on either side of the shield. Nelson insisted on having Jack Tar as a supporter – this was a heraldic innovation and set a precedent, which has been followed by a number of naval knights and peers since. 9. In which English county was Nelson born? Norfolk. He was born at Burnham Thorpe, close to the coastal town of Great Yarmouth on 29 September, 1758. His father was rector of the parish and the Nelson family lived in the parsonage, now no longer standing. 10. From which English county were the greatest number of sailors in Nelson’s Trafalgar fleet? Devon, where I now live. Nelson’s men at Trafalgar included over 1,100 men born in Devon. 11. How tall was Nelson? The popular image of Nelson is that he was quite a small man. However, modern research has established that he was about five feet, six inches (around the average male height in the eighteenth century). 12. What was Nelson’s nickname as a child? 13. 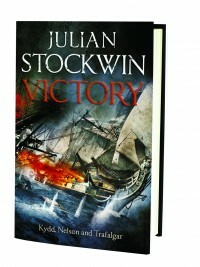 How many men and officers served in Victory at Trafalgar? Her full complement was 850, however at Trafalgar it was only 820. 14. Name Nelson’s first command. 15. Who was Josiah Nisbet? 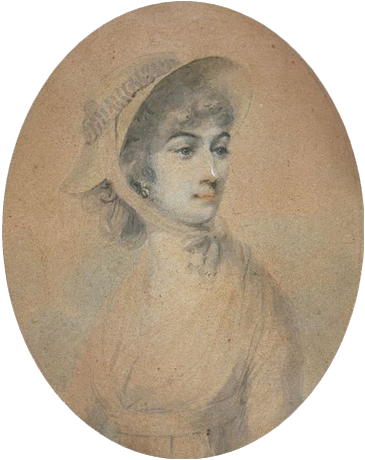 but their relationship deteriorated with Nelson’s infatuation with Emma Hamilton. Despite this, Nelson used his influence to have Josiah made a post captain at the early age of twenty. He was not fit for this responsibility, however, and left the sea shortly thereafter. He became a successful businessman and after the war ended moved to Paris. Nisbet died in 1830 and was buried in the churchyard at Littleham in Devon, where, just eleven months later, his mother was laid beside him. 16. How was Nelson’s body preserved after his mortal wounding at Trafalgar? 17. How did the inn called ‘The Wrestler’s Arms’ find a place in Nelson lore? When the landlady asked Nelson if she might change the inn’s name to ‘The Nelson’s Arms’ he delightedly told her that the name would be absurd, as he only had one. 18. Which of Nelson’s captains was the only one killed at the Battle of the Nile? Captain George Westcott, a Devon man, the son of a baker. After Westcott’s death Nelson made a special visit to his widow and presented her with his own Nile medal. 19. Who is Anna Tribe? Nelson’s closest living relative. She is Nelson’s (and Emma Hamilton’s) great-great-great granddaughter. Mrs Tribe is also Life Vice President of the Nelson Society. 20. During his lifetime Nelson was a prolific letter writer. Approximately how many do we know of that have survived? Well over 5000! Nelson’s letters were often characterised by an eager and somewhat unpolished style, almost as if speaking – like the diaries of Samuel Pepys, with which they have sometimes been compared. How did you go? If you managed twelve or more correct answers award yourself a tot of rum! And there’s still time to enter the latest contest. For a chance to win a copy of Colin White’s Nelson, the New Letters plus Victory email me with the name of the first vessel in which Nelson served. Deadline: October 30. Please include your full postal address.